Japanese tradition means pounding in the New Year with fresh mochi, rice smashed into a gooey paste and molded into round cakes, then eaten for good luck. This December, the Detroit area chapter of the Japanese American Citizens League held its second annual Mochitsuki Holiday Party, with mochi-making as the main attraction. The mochitsuki celebration is a Japanese tradition that goes back a thousand years. Traditional mochi-making requires those with the strength and stamina of John Henry to wield big wooden mallets to pound the rice, but in these modern times high-tech Japanese machines do the work. 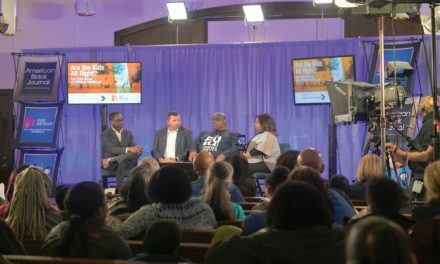 One Detroit has that story at the video above. Mochi relies on a special Japanese sweet rice which is easy to find in Michigan, although a few generations ago, it was slim pickings. 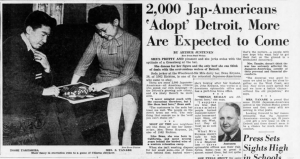 Japanese Americans came to Detroit in large numbers as World War II ended–2,000 by 1946 according to the Detroit Free Press at the time–encouraged to settle here from the mass incarceration camps out west. Basic foods like kamaboko (processed fishcake), sashimi (prepared raw fish), and nori (dried seaweed) were hard to find. Louise Itami, age 88, lived on Detroit’s west side and remembers a store on Fenkell Avenue where her family could get rice, bean sprouts and canned goods. 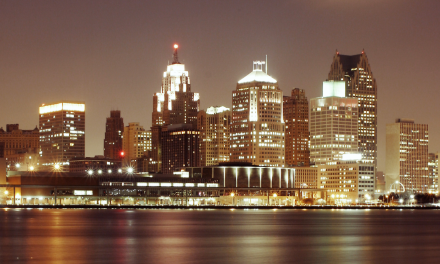 She also recalls a store called Kuwahara’s Trading Post in Detroit’s Cass Corridor, which is referenced in a book about Japanese Americans in Detroit called Exiled in Motown. 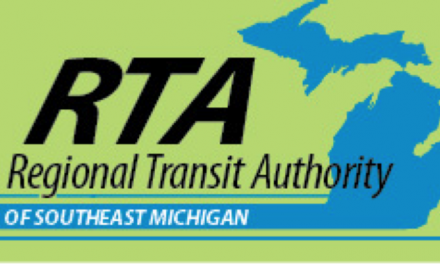 By then, Itami and her family moved to Troy and Kuwahara’s relocated, ending up nearby on Fourteen Mile Road in Clawson. 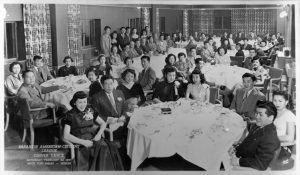 The Japanese American population was spread out across the Detroit region, so Kuwahara’s was a local destination for Japanese Americans. Frank Kuwahara sold his store and retired in the 1980s. It’s still been operating as the Noble Fish grocery store and sushi bar. 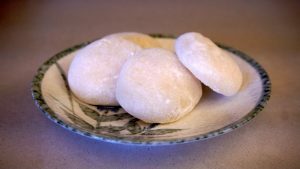 As a child, Itami remembers his family pounding mochi around New Year’s Day in Florin, California before World War II. Her husband, Nobi, remembers people making it during the war in the internment camps, but the couple didn’t start making their own mochi until 1992. That’s when Itami got her own electric mochi-making machine. “It’s a miracle to me,” she said. Her husband likes his mochi in ozoni, a soup made with vegetables, usually in a fish stock. Louise likes it sprinkled with sugar and some toasted soybean flour called kinako. She still shops at Noble Fish, but in recent years bigger stores have popped up that have most of what she needs such as 168 Asian Mart in Madison Heights. “Now, even the Chinese store has it,” Itami said.